Musictheory.net is jam packed full of lessons, exercises, and tools to help musicians of all levels become more proficient at their craft. Speed Note is a great way to increase the rate at which you process notes. 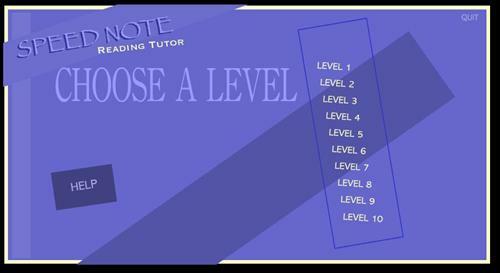 It times you and keeps track of your score as you progress through multiple levels and different difficulties. Can you become an All-Star at all 10 levels? Rhythm Trainer is exactly what the title says: a place for you to master rhythm in various ways. It's a great way to apply concepts that you learn in class in new and challenging ways! You can choose between 2 modes: Mode A plays the rhythm and then you use the available rhythm options to construct what was played; Mode B does the opposite: It shows you the rhythm and you must choose the correct playback of it. 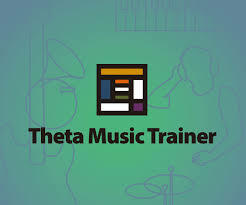 Theta Music Trainer is great for lessons in all aspects of music. You can find lessons, exercises, and games on Music Theory, Aural Skills, Intonation, Rhythm, and many other music fundamentals. This is great for music enthusiasts as well as just students who are wanting to develop a deeper understanding of what they do. Check this one out!! In order to use all of the functions of this site, you need to create a free account. Very much so worth it from personal experience!